Three down with twenty seven days to go. 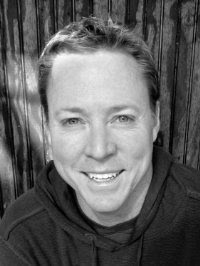 Today's featured author is Jeff Gunhus and his novel Night Chill. Synopsis: Jack Tremont moves his family to the quiet mountains of Western Maryland hoping to leave behind a troubled past and restart his life. Instead, he finds himself caught up in a nightmare when his daughter Sarah is targeted by Nate Huckley, a mysterious and horrifying stranger driven by a dark, ancient power who will stop at nothing to abduct Sarah. When Sarah goes missing, suspicion falls on Jack and he must uncover the secrets of the small mountain town of Prescott City and face the evil secret hidden there. As he digs further, he learns the conspiracy reaches more deeply than he could have imagined. He must soon face the question, What is a father willing to do to save his child? The answer? Anything. Anything at all. Jeff Gunhus is the author of thriller and horror novels for adults and the middle grade/YA fantasy series, The Templar Chronicles. The first book, Jack Templar Monster Hunter, was written in an effort to get his reluctant reader eleven-year old son excited about reading. It worked and a new series was born. After his experience with his son, he is passionate about helping parents reach young reluctant readers and is active in child literacy issues. As a father of five, he leads an active lifestyle in Maryland with his wife Nicole by trying to constantly keep up with his kids. In rare moments of quiet, he can be found in the back of the City Dock Cafe in Annapolis working on his next novel.